The iPhone 7 Space Black is highly expected to be announced in September with the iPhone 7, iPhone 7 Plus and probably the iPhone 7 Pro. The talented Apple centric designer Martin hajek has put all the latest ins and outs about what to expect on the iPhone 7 and its Space Black variant of the Space Grey versions. 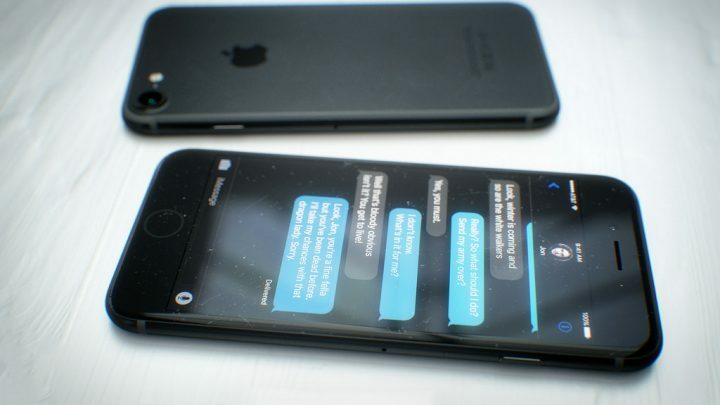 Highly details renders of the Space Black iPhone 7 even show a “virtual” Home button (then, invisible), a colored to match EarPods in Space Gray and guess what… with a Lightning connector has he anticipates that Apple will drop the jack connector on the iPhone 7 generation.